This is an amazing rustic modern beauty with privacy and views for miles! 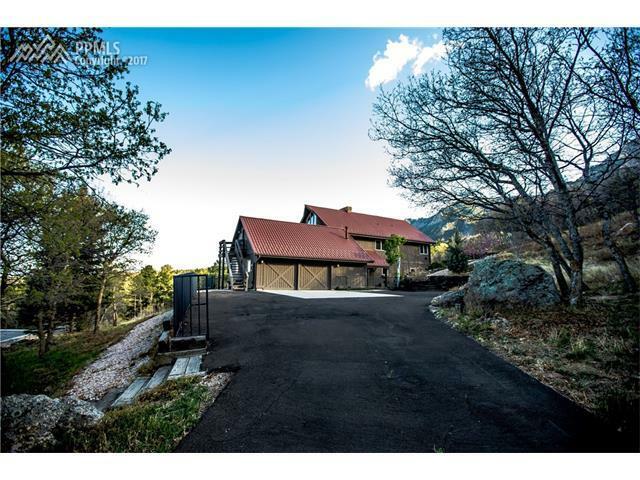 Drive past the prestigious Broadmoor Golf course on your way to your private sanctuary at the end of a long driveway that sits atop a hill giving you a view that has both mountains and city views that are worth...a million! Open concept floor plan that is centered on a 3 story high brick fireplace with exposed beams and rugged bolts and brackets. Open loft second floor has two bedrooms with a spiral staircase to an add loft "bedroom". See remarks.